The Nazca lines were traced there 2000 years ago. It would seem that these lines are a communication route, a call to the gods. The engraving of right-hand side represents a divinity with a eagle head on a human body . The main part of the drawings, represent the fascination of these creators for the flight control, a forms of freedom. The monkey can be also regarded as the intermediary between the man and the bird because of its faculties of branches to branches displacement and a remarkable agility. The monkey precedes then in the animal the more aptent to takes-off. The astronaut is the most mysterious drawing, or perhaps simply a representation of a man. The eye is the heart mirror, it is represented here by two disproportionate rounds compared to the size of the head, which now, can make us think of the representation of a astronaut. Nazcas also traced hundreds of arrow on the ground in all this area. The random order and several arrows are hundreds of meters length. It can be at the local origin of beliefs, the shape of signature bound for their head bird god. It is interesting to notice that all the forms of lives are present in this space: the whale, the man, reptiles, birds, spiders. 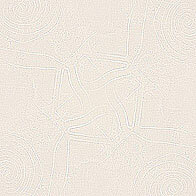 Discover below the Nazca lines in satellite images!! Geo-trotter.com is not affiliated with Google.